AHCC inmate assisting with a controlled burn for Kalispel Tribe. The Class V: Community Restitution Programs are subject to supervision by the Department and designed and managed to enable individuals on community supervision to work off all or part of a community restitution order as ordered by the sentencing court or the Department (DOC Policy 700.000 (pdf), RCW 72.09.100). The Class IV: Community Work Industries off-site work crew program is operated by the Department and designed and managed to provide services in the community at a reduced cost. The services are provided to public agencies or nonprofit organizations (DOC Policy 700.400 (pdf), RCW 72.09.100). The crews typically provide services in farming, reforestation, wood-cutting, land clearing, processing of foods in state canneries, forest firefighting, forest fire suppression and prevention, stream clearance, and watershed improvement. Crews also provide services in the development of parks and recreational areas, and work to conserve the natural resources and protect and improve the public domain and construction of water supply facilities to state institutions (RCW 72.64.050). Inmates in this program reside in facilities owned by, contracted for, or licensed by the Department. A unit of local government provides supervision services without charge to the state and pays the inmate's wage. Inmates who work in off-site work crews do so at their own choice and receive a gratuity which does not exceed the wage paid for work of a similar nature in the locality in which the industry is located (RCW 72.09.100). The off-site community service program uses contracts to create partnerships with federal, state, county, city, and community government and non-profit groups to employ the inmate work crews. Currently the following facilities participate in off-site work crew partnerships: Airway Heights Corrections Center (AHCC), Cedar Creek Corrections Center (CCCC), Larch Corrections Center (LCC), and Olympic Corrections Center (OCC). Work Crew Services: Litter pick up, habitat restoration, landscaping, warehouse work, and snow removal. The DNR Correctional Camps Program was established by the Legislature in 1939 (Chapter 220, SHB 242 (pdf)). 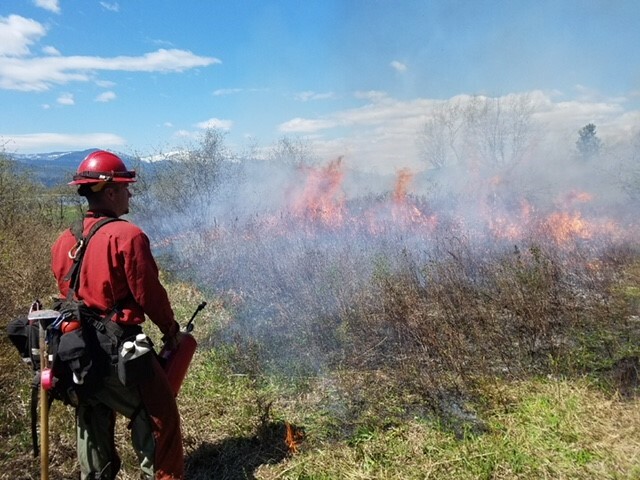 Corrections has established contracts with DNR to provide inmates to assist in forest firefighting, fire suppression and prevention, and other incidents and significant events. The inmates that work on DNR crews receive training and job skills in firefighting, chainsaw operation, silviculture practices, sew shop skills, as well as machine and auto mechanics. DNR operates crews at four state prison facilities. Work Crew Services: Litter pick up, habitat restoration, graffiti removal, landscaping, and fire fighting, suppression and prevention. Work Crew Services: Litter pick up, debris removal, garbage cleanup, filling sand bags, hand shoveling debris, landscaping, prune trees, pull weeds, cut back brush and cut grass, sweep sidewalks/parking lots. Work Crew Services: Habitat restoration, rechanneling streambeds, planting trees alongside streams/rivers, distributing salmon carcasses to promote stream health, and sandbags. Work Crew Services: Landscaping, prune trees, pull weeds, cut back brush and cut grass, sweep sidewalks/parking lots. Work Crew Services: Landscaping, trail maintenance, park clean up and blackberry removal. (3)(b) The department shall prepare quarterly detail statements showing where work crews worked, what correctional industry class, and the hours worked. (4)(b) The department shall prepare quarterly detail statements showing where work crews worked, what correctional industry class, and the hours worked.